Hello from sunny Delray Beach, Florida where the Black Diamond conference is in full swing! Today I want to give you a quick sneak peek inside the conference- before the next presenter goes on – and talk a bit about the presentation I just gave, as well as some goings-on in the market. The focus of my time on stage at the conference was something I had actually shown to 10-Minute Millionaire subscribers a couple of weeks ago – the four things you need to profit from any stock chart. In case you missed it, you can find that article here. Being able to read, interpret, and predict movements in a stock chart is instrumental in finding profitable trades. For instance, subscribers to my elite research service, Stealth Profits Trader, recently closed the final portion of a trade I recommended on Bank of America for 300% gains! And that’s just one of the many triple-digit gains subscribers have had a chance to achieve already in 2019. To find out how you can get access to my weekly trade recommendations and have a shot at making huge profits like this, click here to learn more. There is more than $21 TRILLION in unclaimed wealth in the U.S. right now – and claiming this money could be as easy as picking up a dollar you find on the street. 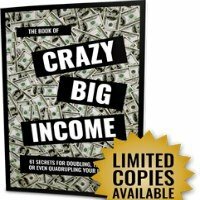 Our estimates show there’s up to $1,083 per month up for grabs – but most people have no idea these extra income streams even exist. That’s why we’ve made it our business to find out about them. And starting today, you can start benefitting immediately from what we’ve discovered. I’ll also be discussing one of my favorite methods of identifying the market’s momentum: breadth. The more companies that are creating positive gains (pulling on the oars, so to speak), the better the chances of the broader market continuing to climb. This week, Stealth Profits Trader subscribers were shown a simple tool to determine if many companies are driving market movements, or if it’s just the large cap stocks dragging the rest of the market up with them. If you’re a Stealth subscriber and you missed that alert, you can find it here.